When I was six years old, Beauty and the Beast was the best thing I’d ever seen. It was the first film I saw in the cinema, it was the first film to inspire any real emotion in me, and I like to think of it as one of the things that sparked my love for libraries. Beauty and the Beast has since remained one of my favourite films, and those of you who have seen it will know which library scene I am talking about. All my life, I have yet to come across a better gift than that which the Beast gave Belle – the beautiful castle library, embossed in splendour and lined with books from ceiling to floor, and wall to wall. An unashamed lover of books for as long as I can remember, I empathised greatly with all those Matilda-esque bookworms who would choose reading over television any day. I was, however, largely alone amongst my friends with this stance. This has continued to be the case, and in the last few years there has been a marked decline in the frequency with which people just sit down to read a book. Being at a reputable university, and studying a highly academic course, I would have expected something more than ‘Reading? I read the Metro’ as a response to questions about books. The advent of widescreen televisions, Sky boxes, consoles and gaming, smartphones and iPads, pushed the common book into a corner reserved mainly for ‘geeks.’ And then came the e-book. Because why turn pages when you can scroll? It’s such a chore. But the beauty of books is in the paper. It’s in the print, sometimes too small for comfort, and the illustrated covers, your only insight into a world you will then fashion out of your own imagination. It’s in going to a library, getting lost amongst the shelves, and finding the book you want. 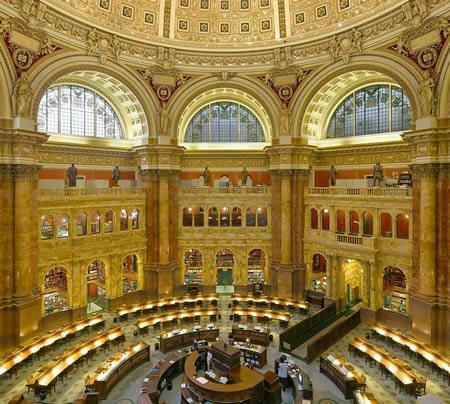 Libraries – havens of the printed word. Somewhere along the way, the government forgot to promote libraries, and they stopped being cool and relevant. And along with it went reading. And along with that went a large part of everyday education. But let’s look further. 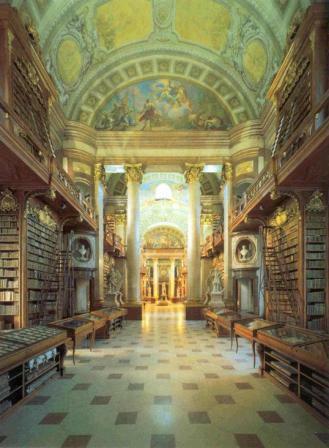 The world has some majestic libraries, some straight out of antiquity, holding tomes both old and new. It would take a lifetime to read everything in there. The prospect of that alone makes them special. 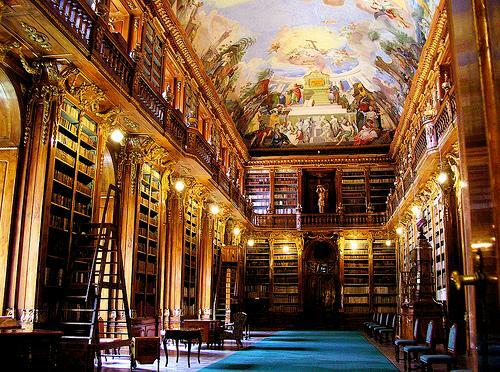 Sit back and allow yourself to be taken on a library tour of the world. 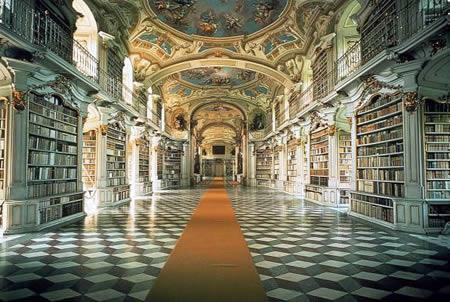 Austria also houses this beautiful gem – The Library of the Benedictine Monastery of Admont. Amidst a mountainous National park and on the River Enn, it is in an area of extraordinary scenic beauty, and remains the oldest monastic library in the world. 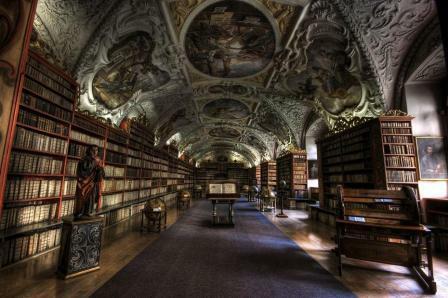 Portugal, Germany, Italy, Spain all house beautiful libraries, and this is my personal favourite – the 868-year-old Strahov Monastery Library, in Prague. 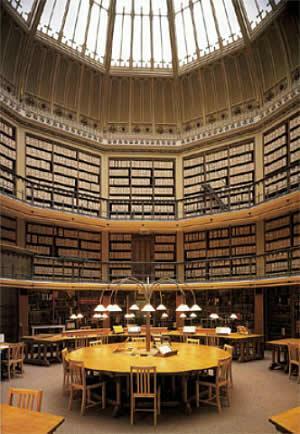 With 42,000 volumes in the Philosophical Hall alone, it is exhilarating to envisage standing amongst what is essentially the entire sum of human knowledge at the end of the 18th century. Historians, scholars and travellers would flock here. 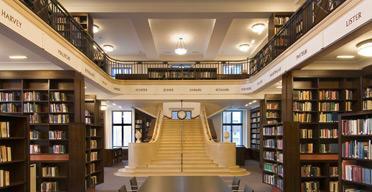 A thirst for knowledge would draw people to libraries. Perhaps that desire to learn of their own accord will once again be sparked amongst the youth of Britain. If the government want education, where better to start than with a book? I shall leave you with this. 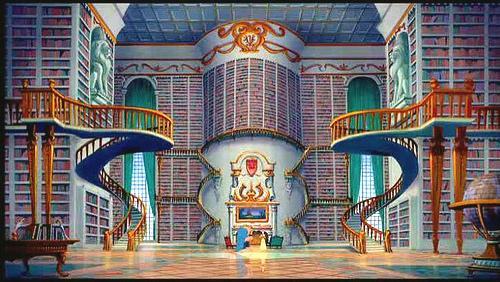 A library so perfect it can only be fictional – THAT library from Beauty and the Beast.